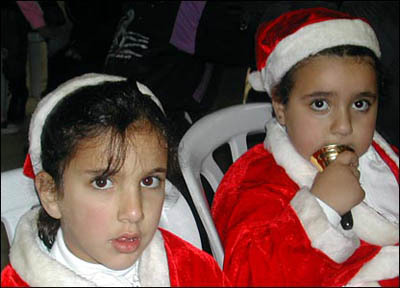 Festive excitement made it to the tiny West Bank village of Jifna when Santa Claus - and a traveling Christmas puppet show - visited the local Catholic school. The BBC News website joined the community as it celebrated what some say is the best Christmas since 2000, when the Palestinian uprising, or intifada, began. Jifna is a village of about 1,200 people. With Palestinian Christians making up an estimated three quarters of its population, it is one of the few places in the overwhelmingly Muslim West Bank to have a Christian majority. 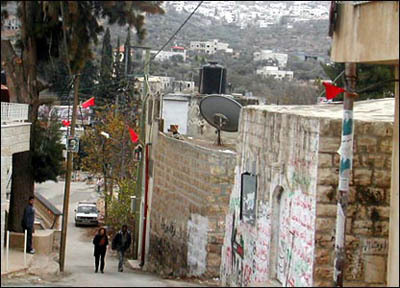 Although Jifna has never experienced the level of violence seen in other parts of the West Bank, its residents suffer from travel restrictions and economic hardship. 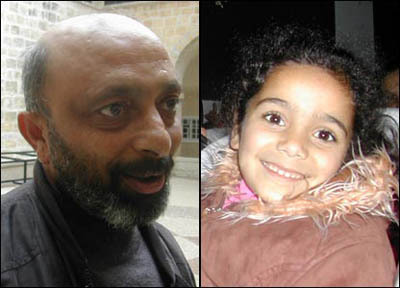 They live near the city of Ramallah, which has seen some heavy fighting. 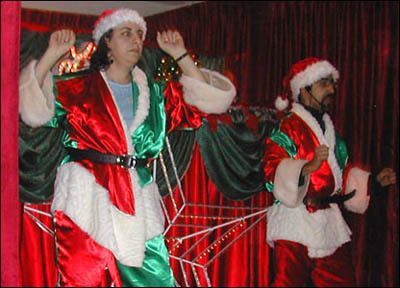 The Christmas performance began with blaring dance music and disco lights. Imad Atallah (right) from the Operation Palestinian Children and Youth (OPCY) team says that, despite long days travelling around the West Bank, he never gets jaded because of the excitement that greets them. "Each time is like the first," he says. "During the intifada, there was no Christmas," says youth worker Khader Anton Abu Khalil (left). "Christmas to the children is gifts, outings, Santa and getting chocolate and money, but people were unemployed and everything was closed. "Now, if you look at the faces, they're all laughing. They feel it is Christmas." 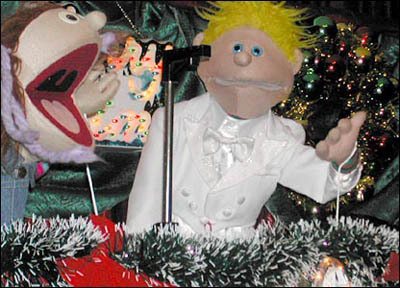 The mischievous puppet boy Marwan (right) is one of the team's favorite characters. He is convinced Christmas is a celebration of Santa Claus' birthday, but learns about Jesus' birth from Santa when he finds him to sing Happy Birthday. 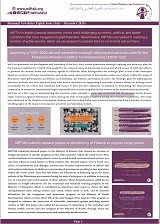 The aim is to educate Palestinian Christian children about their religious tradition. In this area it becomes a cultural label from birth. 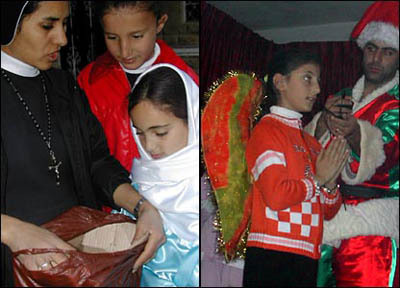 Although the Christmas program is for Palestinian Christians, much of the team's work is among Muslims. Many West Bank Palestinians say Christians and Muslims live "like brothers". 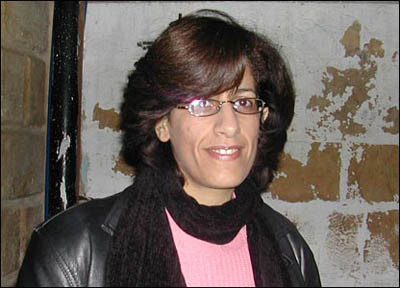 However, team leader Diana Saman says she has visited villages where children have never met Christians. "The fact that they see us... that breaks a lot of barriers," she says. The children were soon dancing along to the team's songs. 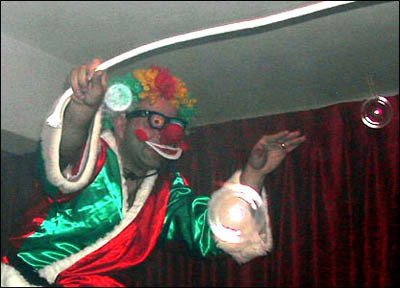 Ms Saman says some younger West Bank children are initially scared by the puppets because there is so little children's entertainment available. In one place, when they tried to do actions to music the children "just froze". "They had never had anything like this before," she says. No child's Christmas is complete without a nativity and there was great enthusiasm among the girls when brightly colored angel wings were provided. Mary, clad in a Muslim-style headscarf, did a sterling job with a cardboard box for a manger. This is despite the plastic baby Jesus' head being barely attached to his body. Politics is never far away here. 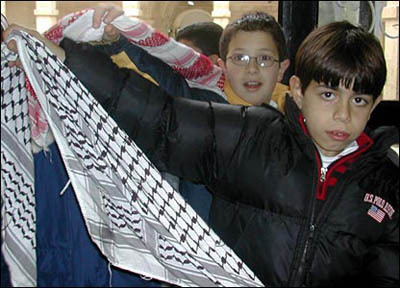 These boys' first reaction to the camera was to pose with their Palestinian scarves. Youth worker Mr. Abu Khalil says that although the worst days of the intifada are behind them, there are still confrontations between Israeli soldiers and stone-throwing youths, often close to the school playground. "The younger children get terrified," he says. 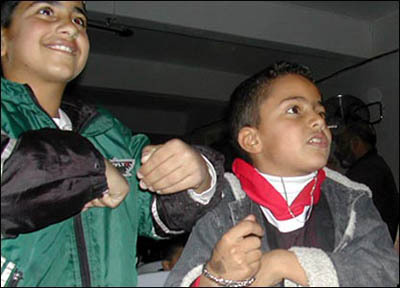 "Of course the intifada has affected the children's behavior," says Mr. Abu Khalil. 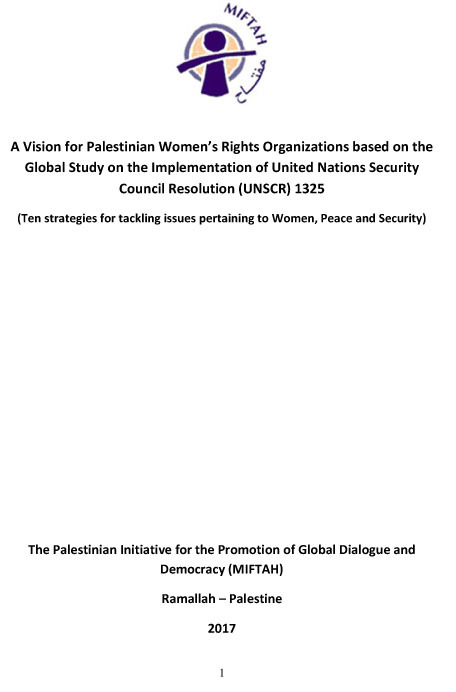 "The most common game is 'soldiers and Arabs' where they hold sticks as guns and throw stones. "Even small kids, when they see a jeep coming, hold stones to protect themselves. "The children are aggressive with each other. Most of this generation is aggressive." Jifna mother Mary Salameh says that although things are better, Israeli travel restrictions mean there are still few places she can take her children aged 10, 12 and 15. 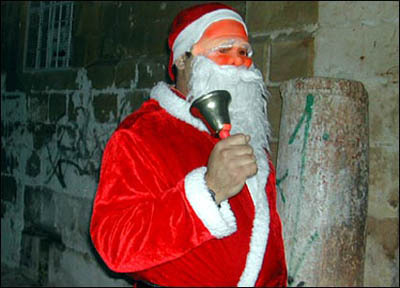 "We hope to see Bethlehem," she says. "I've never been able to take them there." This is despite Jesus' birthplace being physically only about 90 minutes drive away. 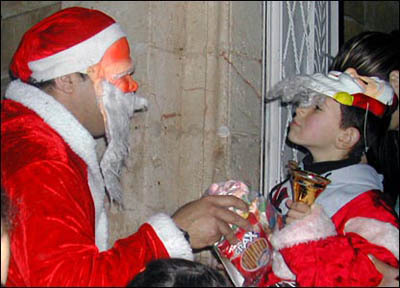 Finally, amid much good-natured commotion, Santa Claus appeared. He distributed packs containing practical items such as towels and toothbrushes, together with sweets and a video CD of Christmas cartoons. One boy brandished a sponge, giggling, as he walked away with friends into the early evening darkness. Word and pictures by the BBC's Heather Sharp.